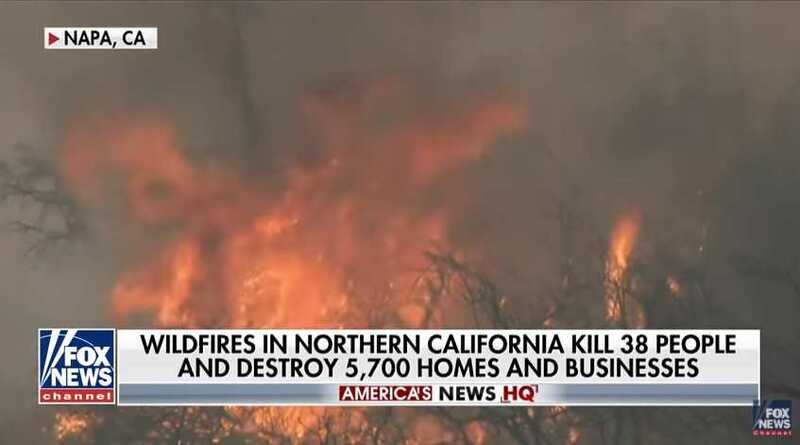 (Los Angeles Times) — Fire officials said Saturday that wind gusts up to 45 mph across Northern California could further spread the massive blazes that have been ravaging the region for almost a week. Strong winds kicked up overnight in the central Napa Valley region, Cal Fire fire protection deputy director Dave Teter said at a news conference Saturday afternoon. As expected, those increased winds caused some fires to spread and triggered evacuations in Sonoma County and elsewhere.